A couple of days ago, an advertisement for the fulfilment of 409 vacancies was brought to the job-hunters and now the same announced has been successfully completed about SSA Gujarat Merit List 2017 by Sarva Shiksha Abhiyan (SSA – Education for All Movement) is Government of India’s flagship programme for achievement of Universalization of Elementary Education (UEE) in a time bound manner, as mandated by the 86th amendment to the Constitution of India making free and compulsory Education to the children of 6 to 14 yrs. Age group, a Primal right. The programme was initiated by former Prime Minister Atal Bihari Vajpayee. Gujarat Council of Elementary School is going to organise the a Written Exam followed by an Interview for the 409 posts of Teacher, Warden and Accountant for these posts the council had published an official advertisement. For those who always wanted to be the part of SSA can fulfil their dreams by cracking each round of the selection procedure. The registrations were started from 16th May and the last date for the registrations was 25th May 2017 and lots of attentive Job-seekers registered themselves before that. The SSA Gujarat KGBV Merit List 2017 can now easily be downloaded from the links given beneath. According to the Final Merit List, the candidates will be given a choice in the priority rank. 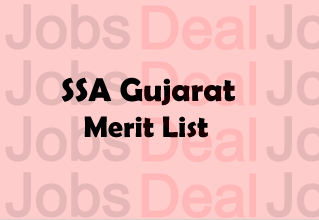 You have to make use of a direct link for SSA KGBV Gujarat Merit List and know more about it. The Merit List published by KGBV is a very potential Merit List and is downloadable separately in the links beneath. Through the links, you are able to download District-wise Potential Merit List for various posts as advertised earlier. We will keep updating this page in future, if you have question/queries regarding this SSA Teacher/Accountant/Warden Merit List, please ask through the comments. To get access to the PDFs of your Sarva Shiksha Abhiyan Gujarat Merit List, you will be meant to first log on to “Online Recruitment System” by entering http://43.242.215.231:8010/KGBV/Pages/Main.aspx. Next, you will see the latest updates on the page along with the Potential and Probable Merit List as per different posts namely Full-Time Teacher, Resident Teacher, Warden, Accountant, etc. Please bookmark this page for stay connected with us so that we can provide you with the latest news on SSA Gujarat Merit List 2017 easily and you do not have to wander here and there looking for the Merit List details. Just use the direct link below.